Nothing ’neutral’ about the hijab ban - sister-hood magazine. A Fuuse production by Deeyah Khan. Prompted by the case of a G4S receptionist in Belgium who was fired for wearing a headscarf after three years of employment, the European Court of Justice (ECJ) ruled last week that ‘workplace bans on the wearing of ‘any political, philosophical or religious sign’, such as headscarves, do not constitute direct discrimination where companies have an ‘image neutrality’ policy. The reason such bans do not constitute direct discrimination is because they are not bans based purely on religious grounds or aimed at one particular religion… apparently. I am left with doubts. If this is not direct discrimination – as the wording indicates – why does it feel like it is? Why does it feel like this is aimed particularly at Muslim women? Why does it feel like it is particularly focused on one especially contested symbol? It turns out I’m not the only one who has these doubts – Amnesty declared the ruling ‘disappointing’ and as ‘opening the backdoor to…prejudice’. Indeed, despite whatever assurances have been given that this ruling is enacting neutrality, it is impossible to ignore the disproportionate way it will hit visibly religious people – those wearing skullcaps and turbans for sure, but especially visibly Muslim women. I say especially because our bodies and our clothes are already ‘known’ as suspect and have historically (since colonial times) been the central symbol in debates over the place of Islam and Muslims in Europe. Ultimately, it is inarguable that the ECJ’s ruling will not disproportionately harm Muslim women. Right-wing understandings of the ruling have proved this. The rightist German populist party, Alternative für Deutschland, proclaimed that: ‘the ECJ’s ruling sends out the right signal… Of course companies have to be allowed to ban the wearing of headscarves’. No matter the ‘objectivity’ attempted by the ruling, the right reminds us that context always matters, because context is what makes meaning. In a Europe which is so obsessed with Muslims, so afraid of beards and hijabs, so intent on policing borders, detaining and deporting refugees and migrants, and turning to increasingly parochial nationalisms, the ruling would always be disproportionately about Muslim women. There’s a reason that the ruling has come now rather than twenty years ago – the discourse which creates the meanings around what Muslim women wear did not exist so widely then – not to mention that the Netherlands, France and Germany are in their election seasons. The grand irony is that this ruling, along with every other anxiety about Muslims in Europe comes not from a lack of integration, but the fact that Muslims are fully imbricated, publically visible, and engaged in European life. The ‘problem’ is that Muslims are now European. The best way to see how this ruling will directly discriminate against Muslim women in Europe is to ignore the intention of the ruling for a second and consider instead its impact. Women in hijab turning up for job interviews will now not only face general Islamophobia-induced concerns, alongside misogyny and racism, they will also sit before their potential employer knowing full well that the power is entirely unidirectional and that the idea of meritocracy has no meaning. When photos have to be submitted with CVs, there will be the constant anxiety that you’ve lost the job before you’ve applied. 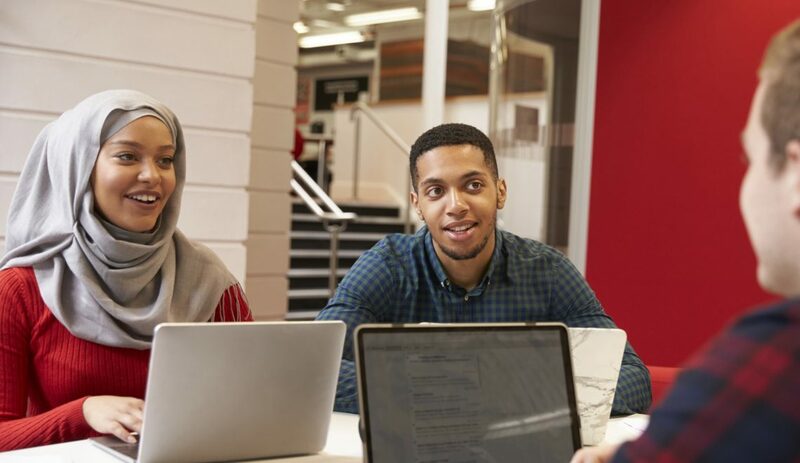 The impact, rather than intention, will be that visibly Muslim employees will find it harder to call out discrimination in the workplace because the ECJ’s ruling has provided the language to legitimise their discrimination. An employee making a fuss will easily be threatened by the coercive power of the potential their employer has to sack them and cite an ‘unwritten’ image neutrality policy. In fact, there is also nothing to prevent employers pre-emptively imposing an ‘image neutrality’ policy to pander to Islamophobic sentiments in the wider population. The very language of neutrality also makes calling out discrimination and Islamophobia harder because it invalidates the recognition of prejudice. It disguises the pernicious and deeply un-neutral impacts this ruling has for Muslim women. This has consequences for women’s mental health, and it has consequences for social participation and alienation. The law is not a safeguard from discrimination for these women; it is the instigator. When does the language of neutrality displace the principle of equality? How do hijabs undermine neutrality? Wouldn’t the most neutral employer/state actually allow for the widest possible visible display of religious diversity? What’s neutral about legislating women’s dress? Forget job applications, CV photos, interviews and workplace discrimination. Muslim women are basically being told to narrow their ambitions and are being deprived of opportunities. This ECJ ruling might impact what Muslim women choose to study well before they get employed, proving considerations of which sectors they will be able to access whilst wearing the hijab will have untold consequences. Some bodies and populations feel less safe and less able to ‘belong’ after the ECJ ruling. There is nothing indirect about that. Amongst the many contradictions riddling contemporary Europe, the biggest irony about this ruling is that it comes at a time when research has shown Muslim women to be some of the most underemployed populations in Europe (at least in Britain). This highlights the absurd contradiction that whilst Muslim men are depicted as the cause of this – as patriarchal savages who confine ‘their women’ to the household – whereas one of the biggest barriers to Muslim women entering the workplace seems actually to be the same Europe that derides them for underemployment. What is the bigger threat to liberté, égalité and fraternité: hijabs and the ambition to work, or telling women how to dress and denying them the right to work? 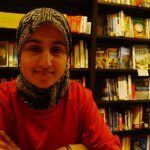 Author of www.thebrownhijabi.com where I write about intersecting oppressions, feminism, Islamophobia, decolonising minds/bodies and Eurocentric academia. I’m studying an MA in Postcolonial Studies at the moment, background in History and future working with my disenfranchised diaspora inshaAllah.